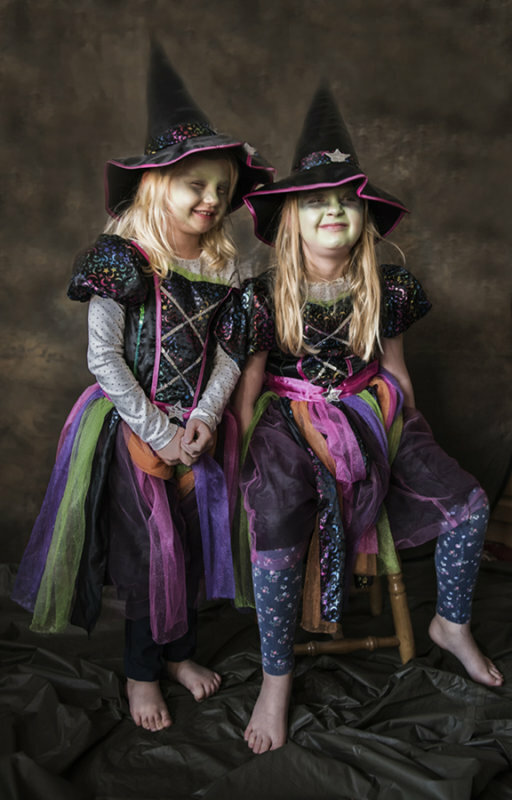 My two little grand-daughters got ready first thing this morning, faces painted, best halloween party dress on, for their Halloween Party they were attending today. I couldn’t resist taking a photo. I said to them ‘Now I want you to pull a face like an old witch but they were laughing so much this is the best I got from them’. What a sweet duo! Love these funny facial expressions! V.
Fantastic great to see them taking part in the festivities. They'd be the prettiest witches I've ever seen, and trying very hard to look wicked! LOL! They're adorable! I hope they had a wonderful time at the party. Precious...and you did a fabulous job with them. I adore their little bare feet. They look so nice.They would not scare me but that's not they want I guess.